The Community Inclusive Trust is a multi-academy chain that challenges and supports its academies to provide the highest levels of education and care for their pupils. Across C.I.T we work together through the sharing of staff, expertise, pooling of resources, and the development of each other’s strengths so that all employees and pupils have the chance to reach their full potential. To put learners first and prepare them for their future. TRUST – We underpin all relationships with trust. RESPECT – We celebrate all individuals, organisations and cultures. OUTSTANDING PROVISION – We develop excellence in learning that is at the heart of the community. 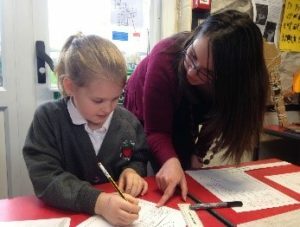 PERSONALISED LEARNING – We will nurture and inspire everyone. To create a first class infrastructure that influences education and enables outstanding lifelong learning.